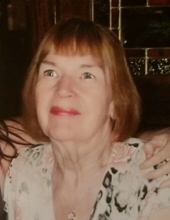 Carol R. Ward (nee Jucius) age 78 of Hammond, IN passed away February 2, 2019. She was a long time resident of Dolton, IL. Carol was born in Chicago on July 2, 1940. She was preceded in death by her parents Joseph and Ruth Jucius. Carol is survived by her brother Joseph Jucius; daughters Carolyn (Frank), Linda (Howard), Debbie (Tom), Diane, Ruthane (Kris), Darlene, Dawn (Chip), and Donna (Sean); grandchilden Amanda (Dan), Erik, Max, Lauren (David), Matthew (Kasandra), Keith (Leslie), Ryan, Robbie, Melanie (Jeff), Christopher, Jonathon, Jordan, Dalton, Colin, Caden, and eight great grandchilden, and many nieces and nephews. Carol worked for 30+ years in the Securities/Bond industry in Chicago, IL. Carol had a kind and generous heart, and was known as "Ma Ward" to many surrogate children. She had a passion for music and was well known for her elaborate owl collection. She was dearly loved and will be greatly missed by all who knew her. Visitation with the family will be on Saturday February 9, 2019 at Burns-Kish Funeral Home, 8415 Calumet Avenue Munster, IN from 10-11 a.m. with a service to follow. Interment will be at St. John~St.Joseph Cemetery, Hammond, IN. To send flowers or a remembrance gift to the family of Carol R. Ward, please visit our Tribute Store. "Email Address" would like to share the life celebration of Carol R. Ward. Click on the "link" to go to share a favorite memory or leave a condolence message for the family.